Dr. Suzanne Hetts received her Ph.D. in Zoology with a specialization in animal behavior in 1989 from the Biology Department at Colorado State University. In 1991, she was certified by the Animal Behavior Society as an applied animal behaviorist. 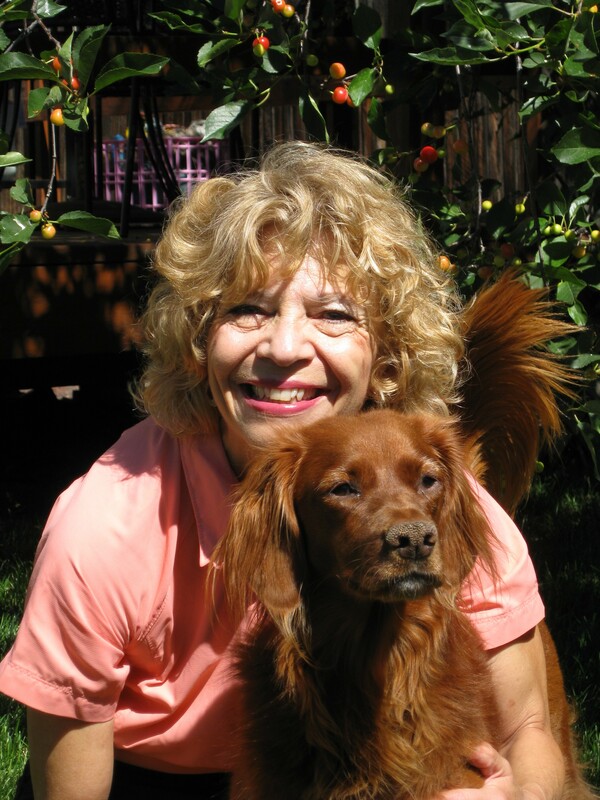 Since 1982, Suzanne has consulted with pet owners, veterinarians, animal care and control professionals, and lawyers regarding animal behavior problems, first through her private practice, then the Veterinary Teaching Hospital at CSU, and later at the Denver Dumb Friends League. While at CSU, Dr. Hetts was one of the co-founders of the CHANGES: Support for People and Pets (now part of the Argus Institute For Families and Veterinary Medicine) pet loss counseling program. At the DDFL she founded a behavior help-line, developed in-house training programs on animal behavior and training, which provided the basis for the HSUS Pets for Life Program, and assisted in animal evaluations and expanded the obedience program. With her husband Dr. Dan Estep, Suzanne co-owns Animal Behavior Associates, Inc. an animal behavior consulting practice in Denver, Colorado. ABA, Inc. maintains several websites and blogs including PetProWebinars.com, BehaviorEducationNetwork.com, SensibleDogTraining.com, PreparingFido.com and more. Dr. Hetts has authored numerous articles for both professional journals and popular magazines. Her book Pet Behavior Protocols: What to Say, What to Do, When to Refer, written for professionals and published by American Animal Hospital Association, is one of AAHA’s best selling titles. Her latest book 12 Terrible Dog Training Mistakes Owners Make That Ruin Their Dog’s Behavior and How to Avoid Them is an Amazon Best Seller. Dr. Hetts also co-authored the textbook (with Laurel Lagoni and Carolyn Butler) "The Human-Animal Bond and Grief”. Along with Dr. Estep, Dr. Hetts has authored videotapes on understanding canine body postures, evaluating shelter dogs, evaluating behavioral health in the veterinary clinic, and bite safety for public service workers, all produced by Animal Care Technologies, Inc. She has also collaborated with ACT, Inc. on a series of videos for pet owners available in all PETsMART stores and created an online training program for Invisible Fence® as part of their PerfectStart Plus® certification program. Suzanne has been a frequent national and international speaker, and in 1998 was the recipient of American Humane Association’s “K.C.” Faculty Award for outstanding teaching. Dr. Hetts has lectured to pet parents and pet professionals on four continents including the countries of Canada, Brazil, Japan, Turkey, Australia and the island of St. Kitts. She has been a member of Delta Society’s task forces involving canine learning and service dog issues, is an AKC obedience judge emeritus, is the past chair of the Animal Behavior Society's Board of Professional Certification, and the Issues in Applied Animal Behavior Committee, and a past member of the Board of Directors of the Association of Pet Dog Trainers and the Certification Council for Professional Dog Trainers. Suzanne is a co-founder of the Interdisciplinary Forum in Applied Animal Behavior and was the Scientific Director for Delta Society’s publication Standards For Professional Dog Trainers: Effective Humane Principles, and the lead consultant in 2001 to PETsMART® to redesign their obedience training program. Most recently she was the curriculum co-chair of the Dog Protection Task Force, a group mandated by Colorado statute to create training about dog behavior for law enforcement officers. Suzanne and Dan share their lives with 11 year old diva-dog Coral, a field-bred Irish setter who evokes laughter and joy every day. For the first time ever, they are “cat-less”, after the untimely death in 2008 of their beloved Buffett, a big orange tabby who ruled dogs and humans with benevolent paws. In 2012 Suzanne and Dan became “snowbirds”, spending the winter months in their home in Sun City, AZ.